Running rental property investment is one of good strategies to earn monthly income. Of course it is not as simple as it sounds to be because there’s always challenge and risk along the way. One of the challenges is when your tenants decide to cut down their lease prematurely. There’s various reasons why tenant decide to do break the lease before it ends. It could be because of work relocations, family circumstance, or other personal matters. There is also situation that can drive tenant to move out and break the lease such as when the rental market is low and the rent is dropped. They may want to find better place with more affordable rent. What should you do when your tenant decide to break their lease prematurely? When you own rental property, there must be some problems you need to face include leaving tenants. However, you need to keep in mind that they can’t just leave without giving you notice. In fact, they need your permission before. Remember that the lease contains agreement. To terminate it, it should be in writing called break-lease agreement. It should have detailed information regarding to the cost, as well as responsibilities involved. As a landlord, you have right to let them go with no cost. However, is it a good option? It is better to break everything in writing to make sure that both parties are safe. You also need to keep in mind that tenancy agreement is a legal contract. Thus, you need to make sure that your financial position won’t give you bad impact due to the breaking-tenancy agreement. As for the cost itself, it varies from state to state. Averagely, tenant should compensate you for reasonable cost for advertising and letting fees. Another cost includes maintenance expense such as for mowing. There is also another option in which you can let go off your tenants with no cost. They can do the advertising themselves to find new tenants. This can be a great solution for both for you as landlords and your tenants. You don’t have to find new tenants and your tenants don’t have to pay for the cost of their breaking-lease. However, this solution won’t work if your tenants urge to break the lease as soon as possible. It is widely known that finding new tenants is not as easy as it sounds. This option will only work if the tenant notice you ahead of time so they have time to find new tenants before breaking the lease prematurely. If your tenants want to leave immediately, it leaves you no other options but calculated the cost of breaking the lease as mentioned earlier. 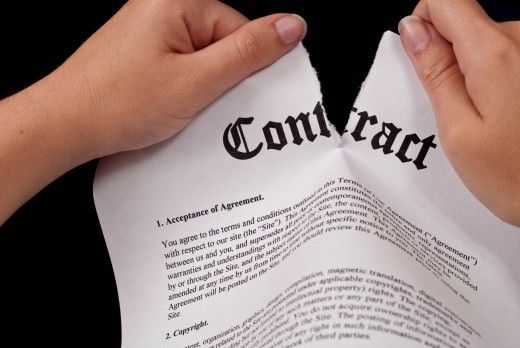 Tenant cutting tenancy agreement prematurely is not uncommon. Rental market is situational, seasonal and cyclical which can cause some problems for people involved in this business. However, do not let this possible problem deter you from growing your rental property investment. If you plan everything ahead with the right strategies, you will be able to thrive every challenge and make your investment bigger.